Ainhoa Ros has more than 20 years of professional experience in advising in judicial litigation. She has been working for companies and private individuals, both at national and international level in matters of international private law, civil law, criminal and administrative law. Furthermore, due to her passion for teaching, she is acting as an associate professor at the Business School Big Data ISDE and is responsible for the in-house training programme of Bressers Law. 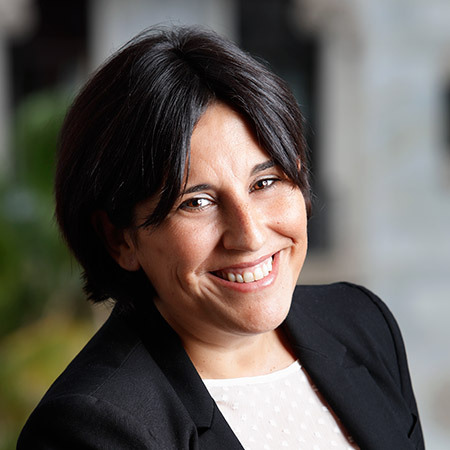 Ainhoa was born in Barcelona and holds a law degree from the University of Barcelona. She is a member of the Barcelona Bar Association. She was spokesperson and treasurer of the Executive Board of The Group of Young Lawyers of the Barcelona Bar Association and member of CRAJ and the Commission of Delegation of the Barcelona Bar Association. Before joining the firm she worked as a solicitor for Centro de Estudios Legales, for EJG Abogados and in the law firm of Miquel Cases Pallarés. Member of the European and International Law section of the Barcelona Bar Association. Member of the Private Law Section of the Barcelona Bar Association. Member of the Marriage and Family Law Section of the Barcelona Bar Association. Member of the Association of Legal Procedure. Member of the Association of Spanish Family lawyers. Member of the Association of Civil Aspects of International Child Abduction. Ainhoa is a very self-demanding person with great commitment for her work. She is a big fan of literature and cinema. Besides that, she enjoys practicing sports and regularly participates in pádel and tennis competitions.